Here are some strategies to repel deer. Try these ideas to keep deer away from your garden, and especially from eating your veggies! 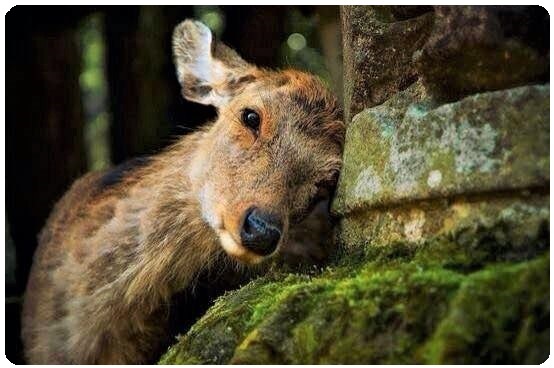 There's no deer where I live, but oh how sweet they are... they look innocent enough. Yes I know, I can imagine the damage they do; in fact I've heard the sad stories, so here goes and I hope these tips listed below will deter your local deer. The best way to keep deer out of a garden is by using a fence that is at least 6 feet high. If it's a small garden that may be feasible but for large gardens or yards, the cost is prohibitive, or possibly not practical. So the only other choice are deterrents. Scare them away! A good quality solar ultrasonic pest deterrer is surprisingly effective. Don't get a cheap brand that falls to bits, or a water blaster type as they are not so effective. Here's what I recommend: Popular Deer Repellent. 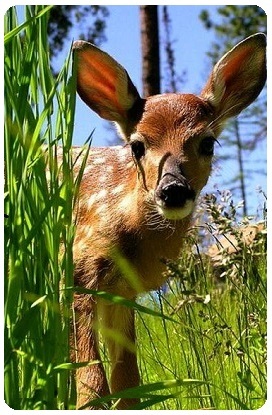 Deer don't like the smell of raw eggs, fish products, kelp, or ammonia. Any spray made from these products can be used. Just mix the product of choice in water and spray the plants to be protected. Deer don't like the smell of soap either. Some gardeners have especially found success with Dial and Zest brands. Blood meal scattered around the garden is another good deterrent. Since deer don't like capsaicin, the ingredient that makes peppers hot, a spray made from chili peppers deters deer. Hang fragrant fabric-softener strips, and small nylon bags filled with human hair on trees around the garden. Some gardeners have found success by laying chicken wire on the ground about six feet wide around the perimeter of the garden. The deer don't like to walk on it because their hooves get stuck in the loops of the wire. Try planting time-released garlic capsules at the base of trees or shrubs or in the rows of plants to be protected. There is a wide variety of plants that deer won't eat. If you live in USA, a list of what they like and don't like can be obtained from your local county cooperative extension office. To give you some ideas to start: Deer will avoid plants with poisonous compounds or aromatic leaves and volatile oils; plants with spines or bristles; furry, fuzzy leaves, and most tough plants. The most palatable dinner party fare for these sweet creatures... are sweet plants. New spring growth with those tender shoots, especially ground covers they can graze on... watch out! Deer avoid most herbs, especially highly scented perennials such as mint, thyme, lavender, sage, chives, rosemary and French tarragon. Plant these amongst other plants or as a border. 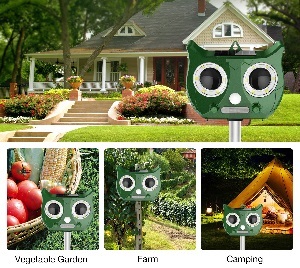 Popular Deer Repellent This ultrasonic solar pest scarer is the best on the market for repelling deer and other pests.